At New Moon Medical, we have been serving patients of Kentucky since 2005 and we take great pride in providing solutions to patients of all ages. 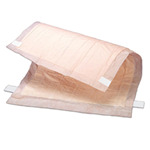 We specialize in providing hospital beds and support surfaces to help prevent pressure ulcers. Our staff features wound care certified nurses who can help find the piece of durable medical equipment you need. New Moon Medical does so much more. We provide home accessibility systems, lift chairs and mobility aids to help you maintain your independence in your own home. We also offer a wide range of breastfeeding supplies and breast pumps to help new mothers provide their babies with the breast milk they need to help their bodies and brains develop. To view the products we have available to help you maintain your independence in your home, view our Online Catalog or contact us to have your questions answered. In order to heal, all wounds need time! We can help you with the rest.